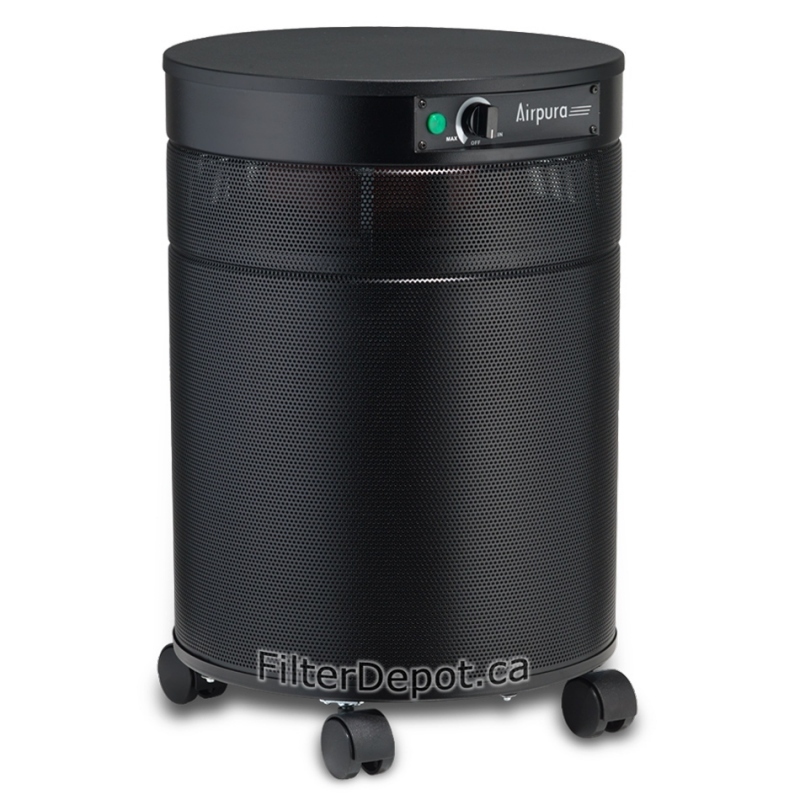 AirPura C600DLX is an upgraded AirPura C600 air purifier with the AirPura C600DLX specialty adsorbent in oversize canister for Heavy Duty VOC and Specific Chemical Removal. 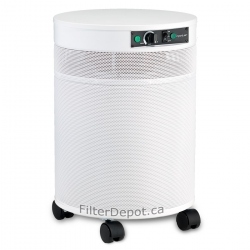 AirPura C600DLX Air Purifier is the AirPura C600 upgrade. 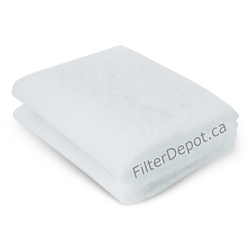 AirPura C600DLX features the AirPura oversize filter canister filled with AirPura C600DLX specially formulated adsorbent to ensure the maximum effectiveness for Heavy Duty VOC and Specific chemical removal in large areas up to 2000 sq. 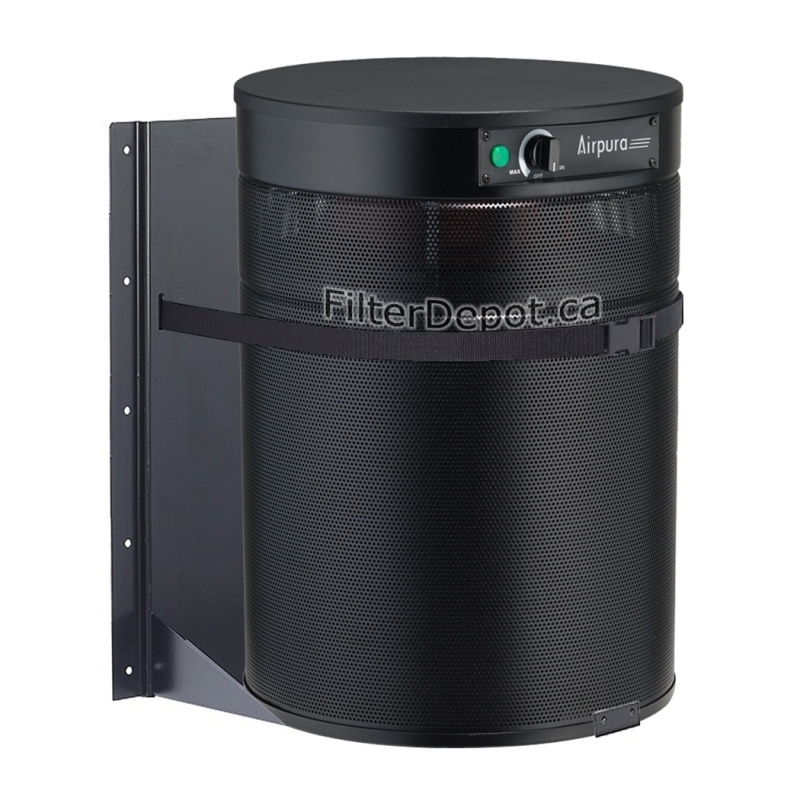 ft.
AirPura C600DLX employs the oversize filter canister with specialty adsorbent for Heavy Duty VOC removal. AirPura C600DLX is equipped with a powerful yet energy efficient and quiet the one-piece motor/fan. The AirPura C600DLX variable speed control allows a fine tuning of speed setting for optimal air flow in all air cleaning situations. The AirPura C600DLX superior air flow of 560 CFM enables it to clean effectively large areas up to 2000 sq. 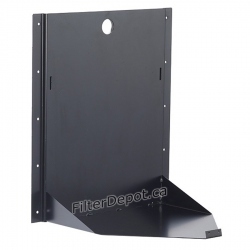 ft.
AirPura C600DLX features non off-gassing the all metal housing with a durable appliance finish powder coating. AirPura C600DLX is covered by a comprehensive 5 / 10 Year limited manufacturer's warranty. AirPura C600DLX doesn't produce ozone or toxic off-gassing and is an Environment Friendly air purifier. AirPura C600DLX ships free by Ground service in continental US and in Canada. There are No US Tax and No Border Crossing fees on AirPura C600DLX purchases. AirPura C600DLX comes with a 30-Day Money Back Satisfaction guarantee Return policy. AirPura C600DLX - When to Use? AirPura C600DLX Heavy Duty VOC Air Purifier is an indispensable air purifier when it comes to cleaning the air from High concentrations of VOCs (Volatile Organic Compounds) and specific chemicals in large open areas up to 2000 sq. ft. Smoke from wood burning stove or furnace. 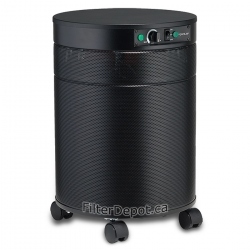 Oversize 3-inch deep activated carbon filter canister with VOC adsorbent. The core of the AirPura C600DLX air filtration system is an oversize activated carbon filter. It contains a massive amount (26 lbs.) of Specialty enhanced (VOC) granulated carbon adsorbent in 3-inch deep canister. It contains a blend of 83% of activated granulated carbon from coconut shell and 17% of potassium iodide. Such a huge amount of adsorbent combined with an extended dwelling time in 3-inch deep carbon bed renders the unparalleled adsorption capacity and efficiency of AirPura C600DLX in removal from the air of VOCs and specific chemicals in high concentrations along with all regular chemicals and noxious odors. 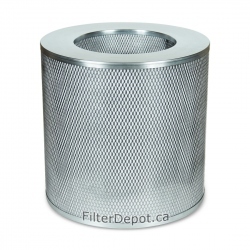 The oversize carbon filter canister in AirPura C600DLX doesn't leave enough room for placement of a standard size True HEPA filter. Therefore, the HEPA-type filter barrier is used in AirPura C600DLX instead to provide an adequate filtration of the air from most common allergens and dust. 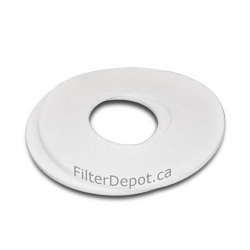 As the first stage of the air filtration system the AirPura C600DLX employs the standard Polyester based Pre-filter. 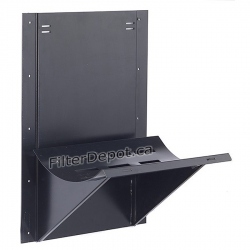 It traps most of large visible dust and dirt particles, while providing protection to fine true HEPA filter from faster contamination and extending its lifetime. The optional unbleached pesticide-free Cotton Pre filter is available in AirPura C600DLX to concerned air purifier owners. AirPura C600DLX is equipped with the same powerful, yet energy efficient backward impeller Motor/Fan assembly with variable speed control rated at 560 CFM. The variable speed control allows the AirPura C600DLX users to select the speed setting that is the most suitable for any particular air cleaning application, activity or a time of the day. The motor and electric components are placed in the separate chamber to eliminate the contact with already filtered air and prevent its re-contamination. 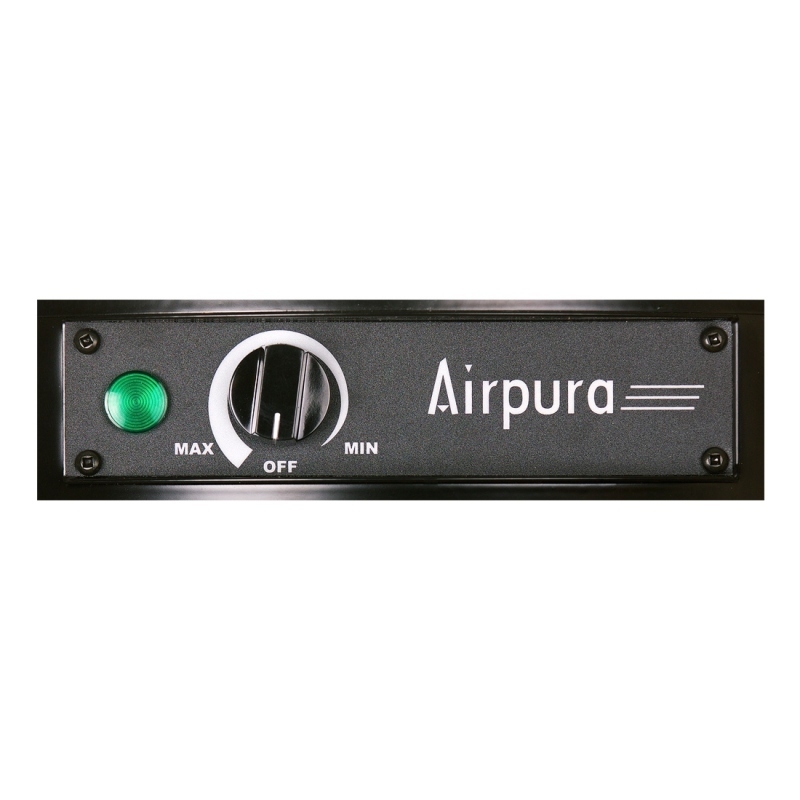 The AirPura C600DLX can be equipped with an optional motor and power cord for use with 220-240 Volts, 50 Hz power supply per customer's specification at Extra cost. AirPura C600DLX features the unified the all metal housing - durable and impact resistant. AirPura C600DLX air purifier comes with the most comprehensive limited manufacturer's warranty. It gives the AirPura C600DLX air purifier owners the peace of mind. 10-Year warranty on Labor (most expensive part of the total service cost). The unit has improved my health tremendously. I bought the AirPura C600DLX to combat sickness and lethargy due to moving into an apartment that recently has been painted and renovated. I run the air purifier 24-7 in the room where I work and sleep, and it has been fantastic. The unit easily got rid of all chemicals and significantly improved the air quality. As a result, I am able to once again live and work from home full time. I am very sensitive to perfume that I react the minute a client wearing scent walks into the office. With the two AirPura machines we purchased running, I no longer have the allergic skin reaction! These units made a great difference in the air quality, which allows me to be at the office, readily accessible to staff instead of working remotely.. I am very happy with our purchase, it removes all odors and the air gets clean so fast! I would highly recommend this product for anyone who wants to breathe clean air in home or office. The product arrived pretty quickly - in just few days. I am very pleased with my purchase. I had a new carpet installed throughout my home and needed the filter to clean the air. I bought this air cleaner, and it did an excellent job in cleaning the air from all odors. I highly recommend this product to anyone who is in the same situation. The shipment was very fast too.